From ultimate Frisbee to "footy": Marie LaVictoire plays Australian-rules football with the Minnesota Freeze. 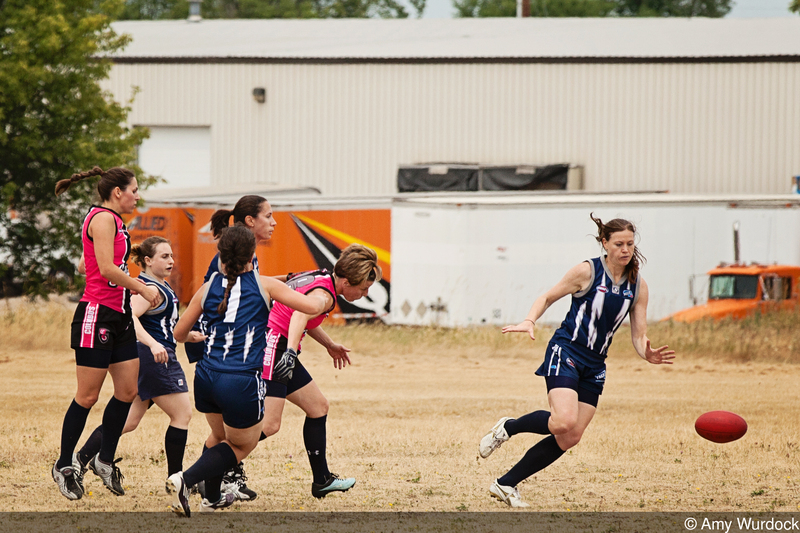 The Minnesota Freeze concluded their 2nd annual women's rec footy league on June 25, 2012. The rec footy league is the 2nd phase of the Minnesota women's footy season. Want to have fun, get fit, meet new friends or learn a new sport? We have what you're looking for! Check the Minnesota Freeze and Australian Rules Football. We offer unique opportunities for everyone! For more information, visit our team page and our Meetup group. For the third session of Fitness through Footy Darcy Franklin will be leading us through a Crossfit workout at Tangletown Crossfit. CrossFit is a strength and conditioning brand that combines weightlifting, sprinting, gymnastics, power lifting, kettle ball training, plyometrics, rowing, and medicine ball training. Each workout can be scaled to work for any level of fitness. This session will cost $5 per person.